going for a leisure run in a blizzard. and a sign from the thrash metal gods. 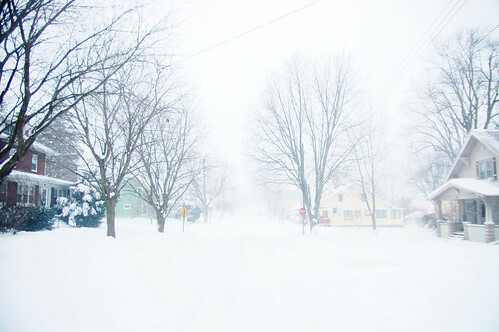 the first really good storm of the season hit southwest wisconsin with predictions of up to 18 inches of snow, sustained 25-30mph winds with gusts of up to 40mph and wind chills in the low teens. turns out you can set a pretty good pace with a 30mph winds to your back. but eventually you have to turn around. AND THEN IT’s BRUTAL. and in a perfectly perfect twist towards the end of the first loop back the to house, “trapped under ice” came on the ol’ ipod and i almost slipped on an ice patch, but somehow managing to prevent myself from going into a cartoonish feet above head fall to the ground. i took it as sign from the thrash metal gods that 3 miles in a blizzard was enough. Previous Postgun control & america’s unique gun cultureNext Postday 3095: hanging out with family on the eve of christmas eve.